Our focus is to provide professional junk removal to our customers. Achieving this requires not only our expertise but also that the client is sufficiently informed about the process and the limits. 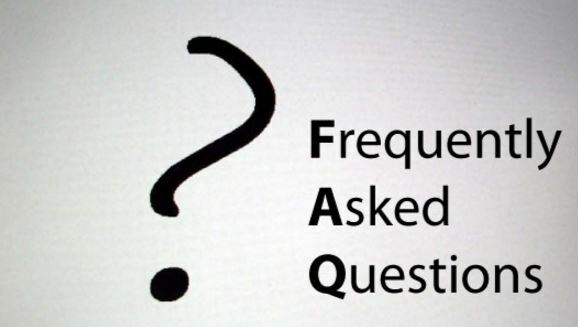 To ensure the latter, we have provided answers to some of the most frequently asked questions here. Feel free to contact us if we have not answered any of your questions or you need clarification. South Bend Junk Removal offers full-set junk removal services. They include home junk such as old furniture, appliances, and carpet disposals among others. We also clean up office junk such as electronics, printers and much more. In addition to these, South Bend provides hauling services for seasonal wastes like the Christmas tree and special junk such garage clean up. Check out our “Services” section for specific details on our services. ​We take away anything that is non-hazardous such as wood, construction materials, garden refuse, furniture, roofing items, renovation refuse, garage junk and many others. Contact us and book a date as soon as you have something you need to get rid of. The earlier you do, the better because we work on a time slot basis and they are filled up pretty fast on some days.You can even book for anticipated junk removal. For example, if you are clearing your office space next week on Tuesday, you can book today for junk removal on, say, Wednesday next week. It gives you priority over others. It is highly advisable that you be present or have a representative on site when the trucks arrive to pick up the junk. We will always notify you at least 30 minutes before our drivers get your place. Being present enables you to review the cost together with our team. In case you cannot be available, our staff on site will still review the price and confirm with your via a phone call before taking away items. It is always advisable to be on site when our trucks arrive. However, if you running on a tight schedule cannot be present, then our drivers will review pricing and call you for confirmation. Credit cards over the phone are accepted. South Bend Junk Removal is not a salvaging firm, neither are we affiliated to any charity organization. As a result, while we try our best to recycle most of the junk, a large chunk is always taken to the dumpsite. Again, this decision is usually made after analyzing what we have collected from your home, office or campsite. Well, that depends on the quality of the junk itself. I mean, there are certain items that are taken to the transfer station while the rest to the dump. What Hazardous Materials Can’t You Take? No, we cannot. South Bend Junk Removal trucks are only licensed to move junk from offices and homes to a dumping station. Consequently, they are always dirty on the inside. We believe you do not want your office or home equipment transported in such conditions. We are not permitted to carry items with the intention of moving them. We are a ‘trash’ truck and only carry the things you no longer need. Besides, the truck itself is also dirty inside. In conclusion, contact our offices today to have the experience you have never seen at pocket-friendly prices. We are certified and have the skills as well as equipment needed to clear trash and let you have your space back.